Why is Philipps ignoring the 2013 National Academy of Sciences’ statement that there is “no evidence of overpopulation”? Philipps also avoids the fact that commercial livestock outnumbers wild horses more than 50 to I on public land. If left unchecked, horse populations could decimate grass and water on public lands, he said, potentially leading to starvation among horse herds and other native species, as well as lawsuits from ranchers and wildlife groups. Why is the Pulitzer Prize-winner spreading myths that America’s wild horses are not native by writing this? Wild horses today are the descendants of stray American Indian ponies and cavalry mounts, as well as more recent ranch stock. Roaming a patchwork of parched rangeland roughly the size of Alabama, they have been protected by federal law since 1971 from capture or hunting. Since then, the Bureau of Land Management, which oversees most of the herds, has said that keeping the population around 26,000 would ensure the long-term health of the horses and the land. Surely this investigative journalist learned that wild horses are indigenous. 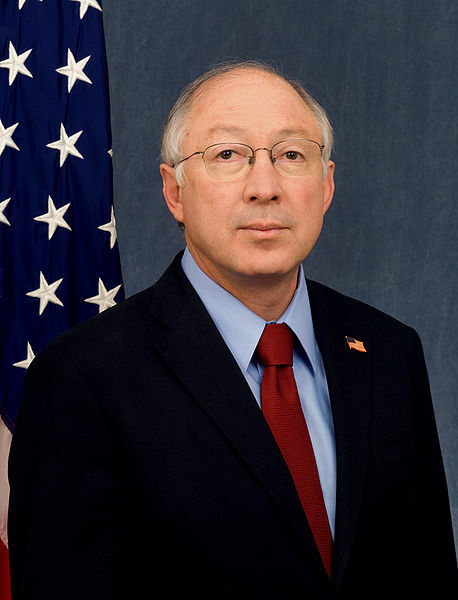 Washington, DC (September 25, 2014)— A U.S. Bureau of Land Management District Manager from Nevada targeted by angry Nevada ranchers was more than justified in removing cattle from drought-stricken public rangeland, according to data released today by Public Employees for Environmental Responsibility (PEER). Tomorrow, protesting ranchers start a “Cowboy Express” ride to Washington demanding removal of BLM Battle Mountain District Manager Douglas Furtado as an “abusive federal employee” even as conservation groups urge that Furtado be commended not condemned for his actions. Washington, DC (September 16, 2014)— The method used by the U.S. Bureau of Land Management to assess range conditions is seriously skewed toward minimizing impacts from domestic livestock and magnifying those from wild horses and burros, according to an appraisal by Public Employees for Environmental Responsibility (PEER). As a result, the BLM’s approach to range management targets scattered wild horses and burros while ignoring far more numerous cattle. Washington, DC (May 14, 2012)— A new federal assessment of rangelands in the West finds a disturbingly large portion fails to meet range health standards principally due to commercial livestock operations, according to Public Employees for Environmental Responsibility (PEER). In the last decade as more land has been assessed, estimates of damaged lands have doubled in the 13-state Western area where the U.S. Bureau of Land Management (BLM) conducts major livestock leasing. 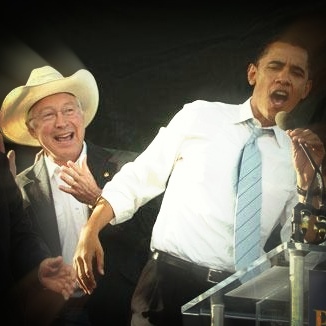 Why hasn’t Phillips used PEER’s information to report fairly or is he only chomping on what the Cattlemen’s lobby feed him? The Times article also pushes the wild horse overpopulation myth to fool people into believing there is a problem. 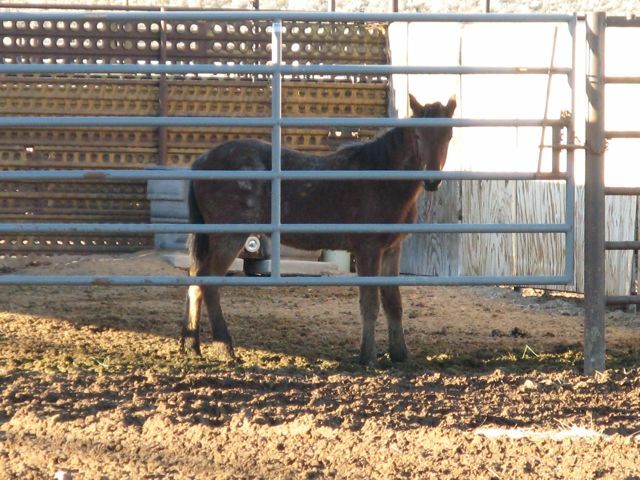 For example, In northeastern Nevada only 1,338 wild horses are allowed on 1.8 million acres of public land designated for their primary but not exclusive use. Hardly overpopulated. Holistic range management options aren’t discussed but the massive slaughter of captive wild horses is brought up like a ticking time bomb. The truth is, there are more wild horses in government holding than living in freedom on the range. Those left on the range have a red flag birthrate. The herds fear extinction and mother nature doesn’t want them to die off. If the Bureau of Land Management didn’t take so many off the range, birthrates would be normal and herds would self-stabilize. 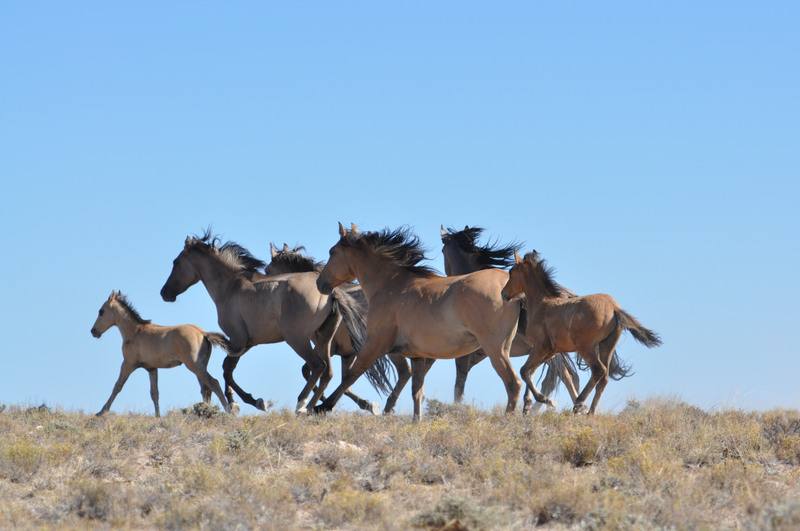 Princeton University working with the International Society for the Protection of Mustangs and Burros has learned in a 14 year study that wild horse herds with functional social structures contribute to low herd growth compared to BLM managed herds. In the UK, wildlife managers are using wild horses to heal the land and restore biodiversity. Holisitic management can work on America’s public lands if people would take the time to learn a new system but it seems they are just too lazy. . . Lazy, like the journalist who doesn’t do basic research for his article. Has someone done a “follow the money” on Dave Philipps to see what’s really spurring him on? Now that’s an article I would find informative. National Academy of Sciences: Using Science to Improve the BLM Wild Horse and Burro Program.